Day 14/30 – Be My Valentine? So it’s actually Valentine’s Day now, not 3 days ago when we had it =/ Since we already celebrated we’re not doing anything exciting tonight. 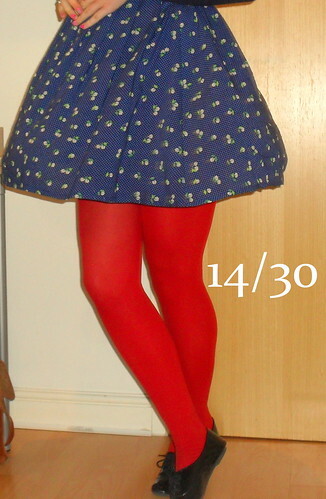 Although I did wake up this morning to find a lovely card waiting for me on the table =) I put on red tights to celebrate the fact that it was Valentine’s Day haha! So before recently I was never really bothered about Valentine’s Day, it may be due to the fact that I was bitter and resentful of all the loved up people and I was all alonely on my owny! Okay, not really actually, I just wasn’t particularly bothered. But up until last year I’d never ever had a Valentine’s card before. Ben doesn’t really like buying cards, so the first year he didn’t get me one, so last year it was a huge surprise to actually get one, my first one! I actually kept it out all year, no jokes! So I’ll be back soon with catch ups on outfits I should have taken before!! Hope you’re all having a lovely Valentine’s Day whether you’re with someone or not, you can be my Valentine!! I love your dress! 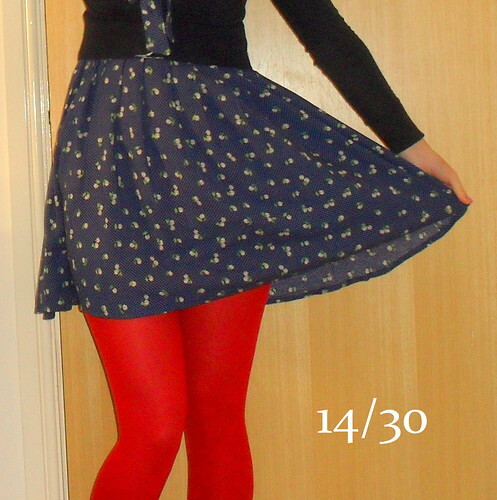 It looks especially nice with the red tights! awww what a sweet outfit for valentine’s! 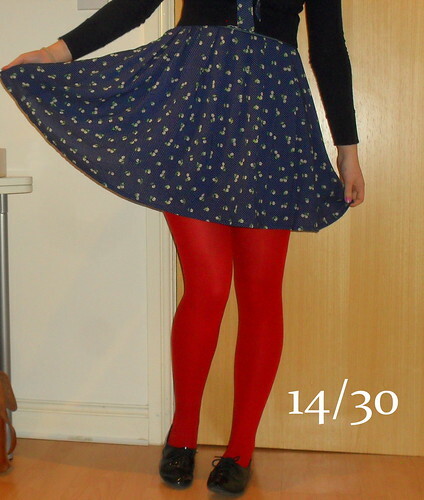 love the dress and those red tights 🙂 happy valentine’s day, dear! You are simply gorgeous! Your hair looks like a Disney Princess’s hair!